Larus cachinnans 2CY PSNC February 19 2012, Zagreb, Croatia. Picture: Ruud Altenburg. Bird ringed yellow PSNC & metal UKK L-011035, ringed as pullus on June 10 2011 at Cherkasy Kreminchuk reservoir Ukraine (49,401 32,15). 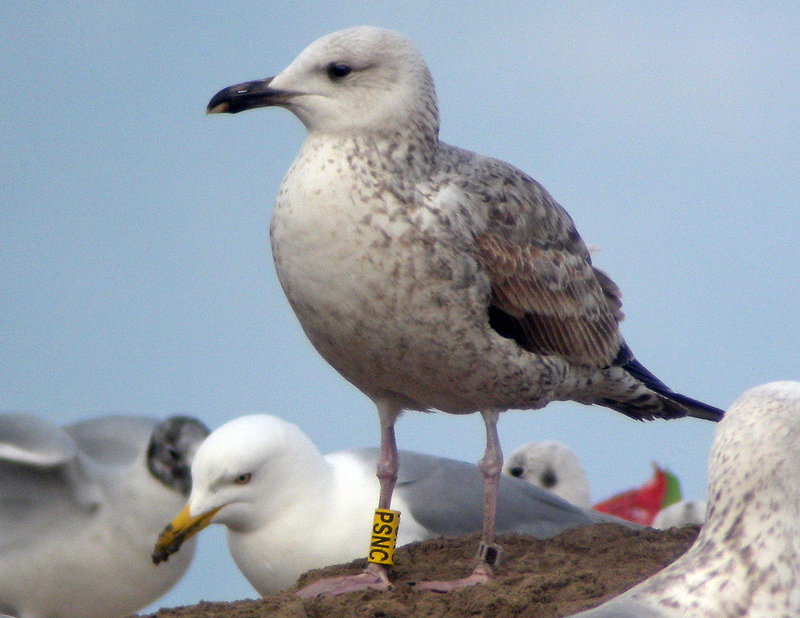 Post-juvenile moult included at least some central MC, central LLC, and several of the LC. Exact moult hard to see from this angle.